To help everyone become self-reliant. When salespeople become self-reliant, they joyfully achieve the results they considered impossible. Urgency Based Selling® was developed to help sales people view themselves – and their approach to selling – in heroic terms. This idea is encapsulated in the three Urgency Based Selling® core values which help people become self-sufficient sales heroes. 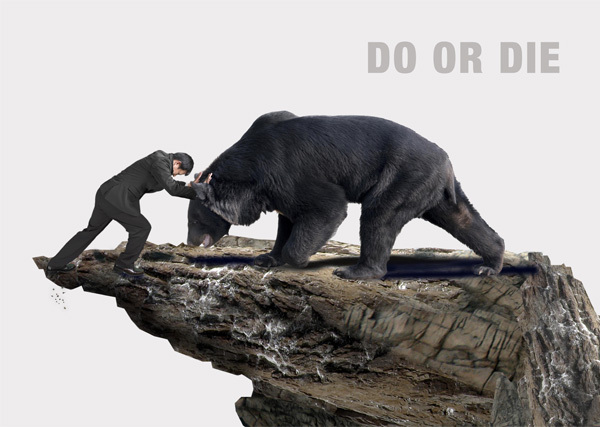 “Doing your best” doesn’t yield success. In fact, it can mean failure for your sales team. 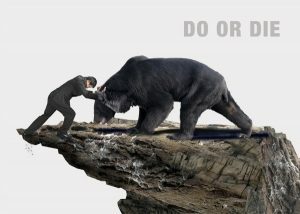 When it’s essential to close the deal, it’s a moment of “do or die” – matching your effort and creativity to the objective and not stopping till you achieve the objective. Urgency Based Selling® teaches you how use this sense of urgency to develop a go-getter, entrepreneurial mindset that yields results. If even one member of your sales team doesn’t demonstrate gratitude – to colleagues or to clients – recognizing their contribution to success, the morale of the whole team is affected. It’s toxic and undermines corporate culture. Urgency Based Selling® shows managers how to lead each team member towards an attitude of gratitude, creating a culture of self-respect and mutual respect for team mates. The unity this achieves and the positive changes that result, can be astounding. 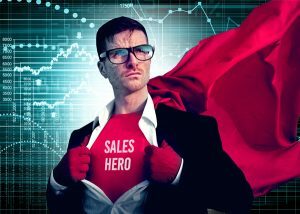 The Salesperson as a Hero. The marketplace has developed a negative, “Willy Loman” stereotype of sales people, and it’s been internalized by many sales professionals. It affects self-confidence, performance, and thus minimizes sales results. Urgency Based Selling® helps you overcome this negative perception and positions you for positive, effective business development. With this mindset shift, sales people realize they’re heroes. They work with prospects daily, facing the unknown, overcoming objections and challenges which often can’t be anticipated. This heroic approach to creating client solutions makes sales an essential contribution to the company’s health. When a sales team realizes itself in heroic terms, it fuels the team’s motivation for a lifetime of success. This is what I need. Show me how I can incorporate these values into our business’s sales efforts. For more than three decades, as a sales theorist and practitioner, Urgency Based Selling® Founder Andy Gole has taught sales professionals how to transform a bold vision for their work into breakthrough selling techniques and management strategies to achieve their goals. Andy and the expert team at Urgency Based Selling® are proud to work with organizations of all sizes, in a variety of industries. As a college senior, Andy wanted to sleep late and enjoy his last few months as a student. But this was a difficult when he was required to attend a 7am math class. So what did Andy do? The emerging sales expert convinced the Math Department to move this early morning class to a noon time slot. How’d he sell the idea? Writing a page for his future Urgency Based Selling® playbook, he demonstrated bold behavior. He told the school students wouldn’t register for a class that early in the morning. With no registrants, the school would have to drop the class and lose out on the registration revenues. Mission accomplished. Since his college days, Andy has dedicated himself to perfecting his craft and sharing his knowledge with others. To date, Andy has performed more than 4,000 direct sales engagements; he has worked with over 90 organizations. Sometimes, they’ve occurred unexpectedly – even backwards. In fact, this is how Andy began his consulting practice, Bombadil, LLC. Here’s how it happened: one year, he hired a new accounting firm. Early on, the accountant tried to sell him one of their financial products. When the sales effort fell flat, Andy convinced the accountant to hire him – and to teach the firm how to sell! Andy’s bold vision for sales techniques, combined with his bold, confident, and determined behavior resulted in the establishment of a new business. This business taught his accountant – and every subsequent client – how to demonstrate to customers their businesses, products, and services meet the customer’s needs in a way no one else can. Andy sounds like an interesting guy. I’d like to learn more about Andy Gole and the Urgency Based Selling® team. My interest is piqued! Tell me more about Urgency Based Selling®.